Japanese mobile operator NTT DOCOMO has announced that it will jointly trial with Sony Corp. a conceptual driverless vehicle. The New Concept Cart SC-1, which leverages 5G mobile technologies for various remotely controlled functions will be tested using the trial network in DOCOMO 5G Open Lab GUAM. “The test will verify data transmission and operational performance required to remotely control the cart from a long distance via the extra-high speed, large capacity, low latency and massive-device connectivity,” the company said in a news release. This is the company’s second joint trial of 5G technologies, following a trial conducted in Japan in 2017 to test the real-time transmission of high-definition video via a 5G system to a 4K digital-signage system fitted to the outside of the cart. According to NTT DOCOMO, the New Concept Cart SC-1 is a highly conceptual vehicle that incorporates artificial-intelligence (AI) and robotics technologies developed by Sony. “Image sensors that exceed human vision are mounted on the vehicle’s front, rear and both sides to provide the remote driver with high-quality video of the surrounding area, and also to on-board passengers, for example, to show them entertaining augmented realty scenes of the surrounding area,” it said. “The 4K digital-signage system can be used for displaying advertisements and other content in high-quality resolution to passersby,” it added. 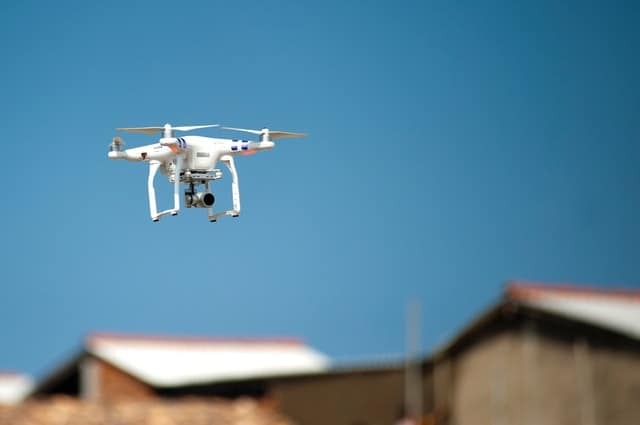 Meanwhile, in Indonesia, NTT DOCOMO has announced that it is testing a service that will use drones to photograph base stations and telecom towers and transmit the information to a command center in real time. The service, docomo sky, is in partnership with PT Solusi Tunas Pratama Tbk. (STP), a company that leases out telecommunication towers. Before the full launch of the commercial service in the first half of the year, the system — which is based on an operational drone-based tower inspection system developed by DOCOMO for its commercial network throughout Japan — will be tested in other locations and facilities. “For the test, DOCOMO will provide its cloud-based platform for operational support and data analysis. The drones fly automatically, take photos and transmit the images via the platform in real time, enabling technicians to inspect the towers via the docomo sky web browser immediately,” the company said. Founded in 2006, STP is now the third largest independent tower company in Indonesia in terms of number of telecommunication towers, according to its website. To manage such facilities, it dispatches technicians to visually check conditions by climbing the towers. The new service will enable remote inspections to be conducted much more quickly and safely. It is expected to support efforts to speed up procedures for inspecting and restoring telecom facilities in Indonesia whenever a natural disaster occurs, NTT DOCOMO said.